Cannondale FSi – the fast hardtail reinvigorated. As well as new, Di2 XTR, the Albstadt was also where Cannondale chose to launch its new carbon hardtail. 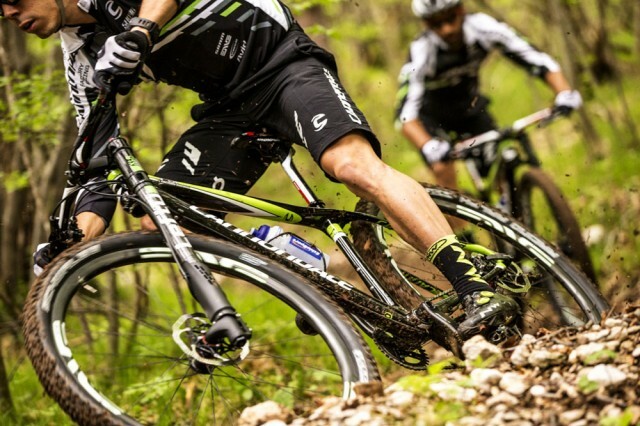 Designed as an ultimate XC race machine, it should also prove popular with riders who love sheer pedal-powered speed. And here’s road pro Peter Sagan (and Olympic Bronze medallist Marco Fontana too) putting it through some surprising paces. Ridden by a fast racer near you soon. As the Cannondale designers pointed out, World Cup race courses have got shorter and sharper in recent years. There are more short, sharp climbs, more built ‘stunts’ like those seen on the Olympic course and more short, steep descents. It means that riders are constantly attacking, switching from in the saddle efforts to stood-up sprints and descents. 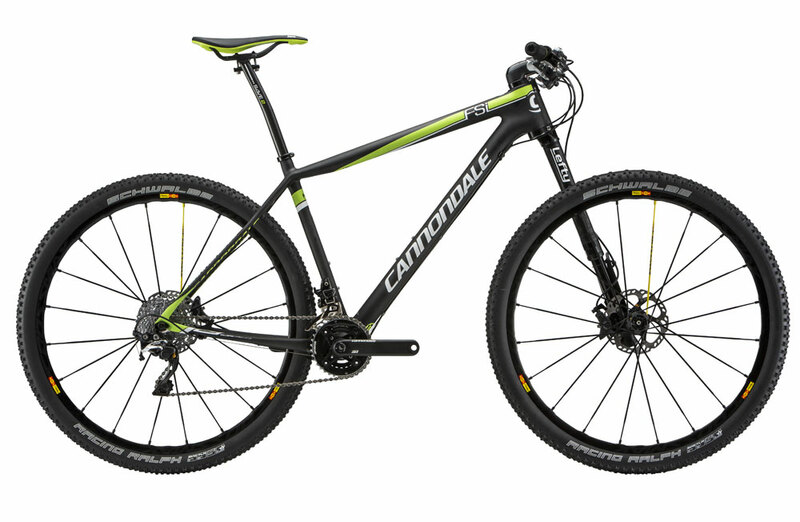 With the FSi Cannondale wanted a machine that was stiff and nippy and good at climbing, which implied a short back end, but also a bike that wouldn’t flip the rider over the bars at the first rock garden. 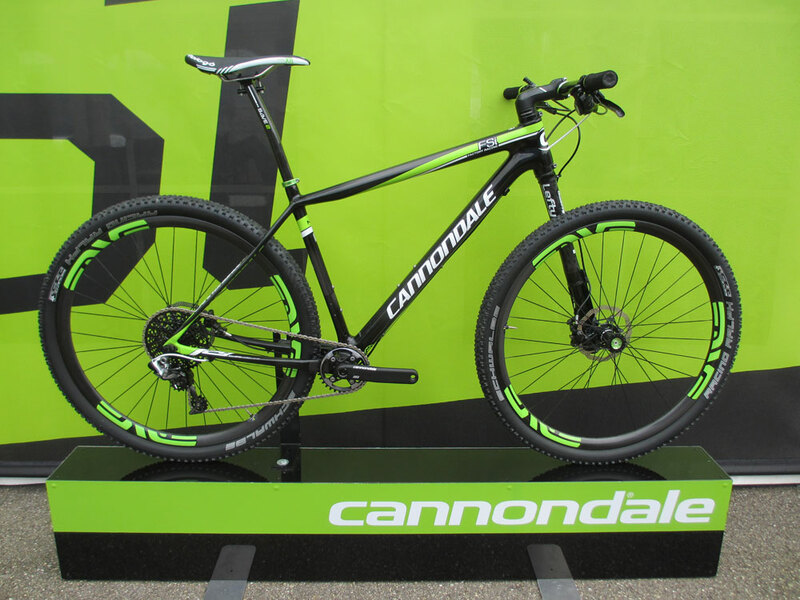 For the light and stiff bit, Cannondale borrowed some technology from its Synapse road bike but for the rest of the mission, it had a long hard look at what was available and, using its SI (System Integration) components, came up with an innovative solution. Pulling the back end in on a 29er often causes front mech/tyre clashes, odd angled seat tubes – or forcing the rider to run a one-by setup, which doesn’t suit all riders or courses. 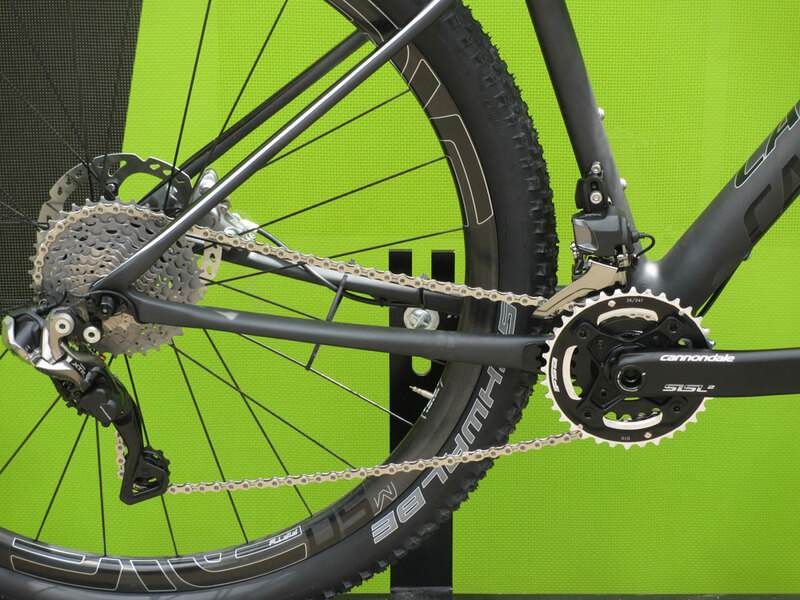 Cannondale has managed super short 429mm by moving the entire drivetrain 6mm further out from the bottom bracket centreline by using a special spider on its cranks. 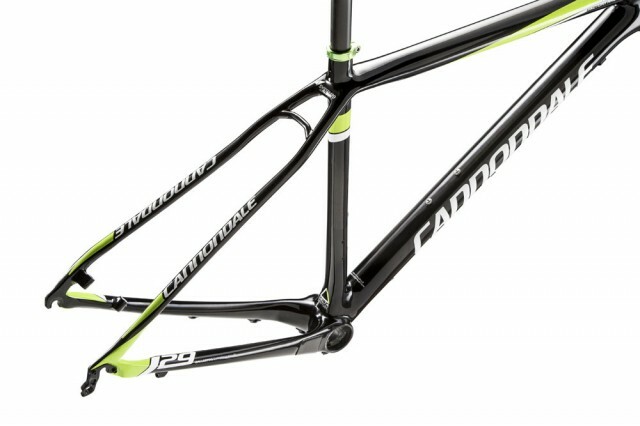 Normally this would be a chainline nightmare, but Cannondale has done the same with the rear end of the bike, kicking out the back end by a similar amount. 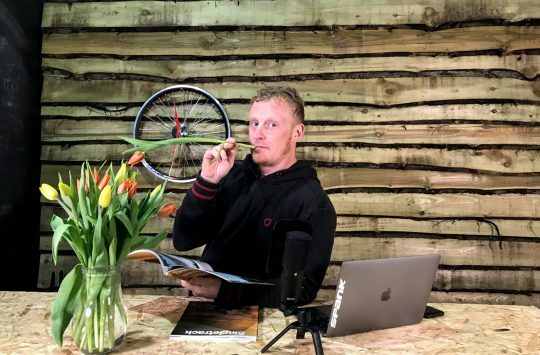 It’s not a new way of doing things; Pace were doing it in the 90s, and many fat bikes use offset drive trains, but this is the most mainsteam interpretation we’ve seen so far. 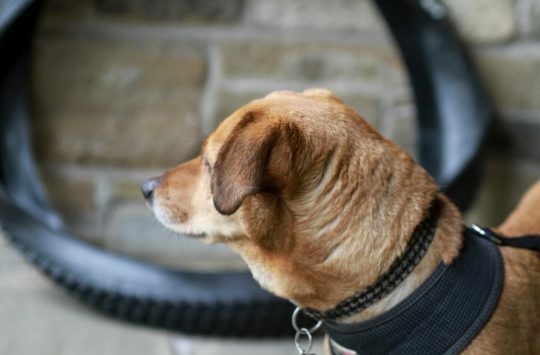 The bike still uses a standard QR rear hub and rims, but the wheel is built dishless, for strength and to keep the rear tyre in line with the front. The result is a bike with super short chainstays, a strong back wheel, and a lot of mud clearance. Even a mid-race, emergency swap to a regular, dished rear wheel should still clear the seat and chain stays. …but see that inward kink on the dropout. It’s all shifted 6mm sideways. Up front, Cannondale has continued its ‘because we can’ innovation with another of its proprietary products, the Lefty fork. Firstly, the FSi has a slack (for an XC bike) 69.5° head angle. This gives it stability on steep, World Cup course descents and rock gardens, but that would usually condemn the bike to a wandery back end on the corresponding steep climbs. Ahah, but that’s where the clever bit comes in. Special spider and BIG mud clearance. Ignoring the numbers for a minute, the idea is to give XC racers a stiff, light, fast bike that’s also not too much of a handful downhill. 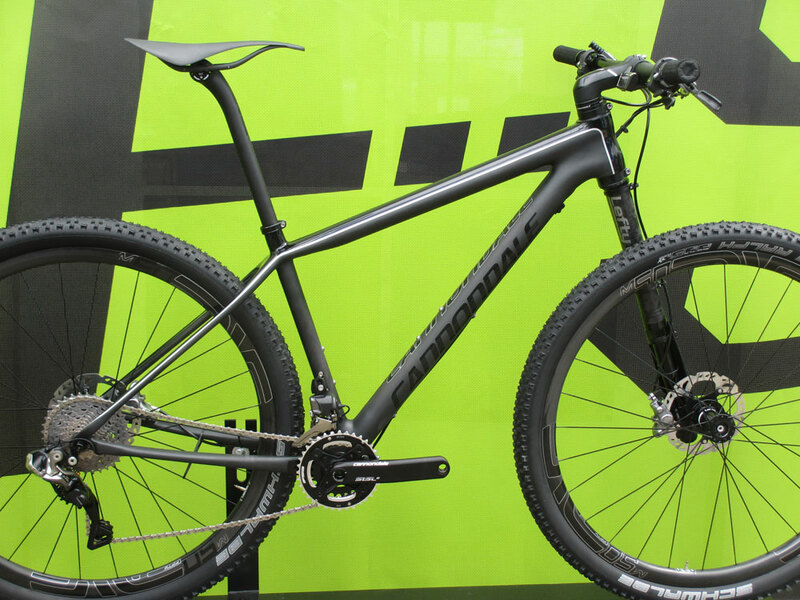 Prices will start from £3,500 for the FSi Carbon 2 and go up to £8,000 or so for the Black Inc version. 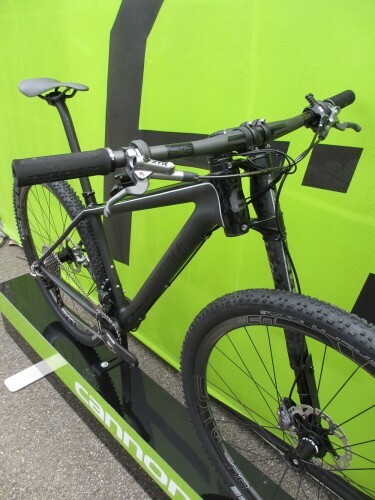 However, for that heady price, you get a bike that comes with Di2 XTR and is so light that it undercuts the UCI minimum bike weight – so the pro team actually ride the model down from it. Oh, and did we mention that the frame weighs a mere 960g? Including bottle cage bolts and seat clamp. The Black Inc version. With electric. A one piece(!) 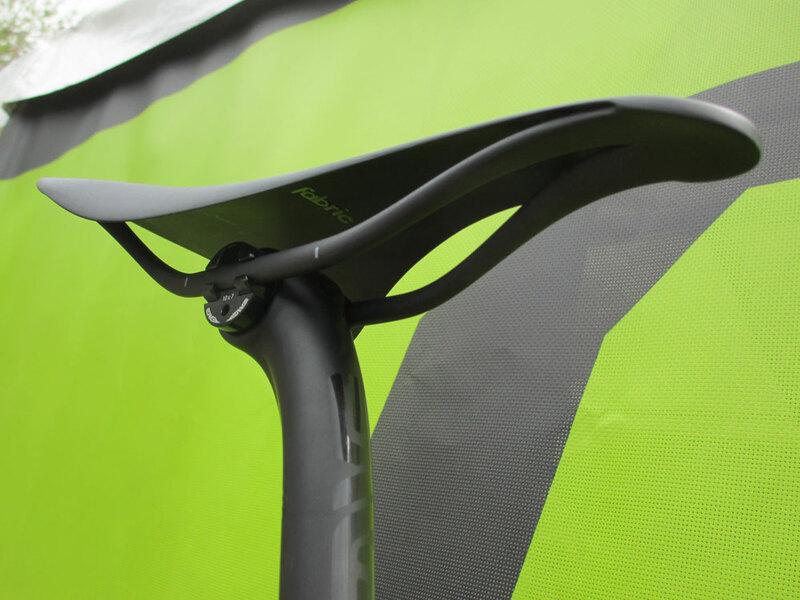 carbon saddle and rails by Fabric. Designed by Nick Larsen. 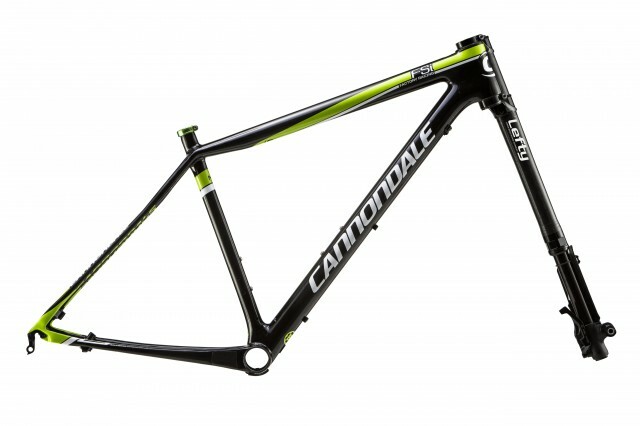 For more info, see the Cannondale website. of all the bikes that have appeared recently, this is the one I want to try most. But is the right pedal 6mm further out than normal? 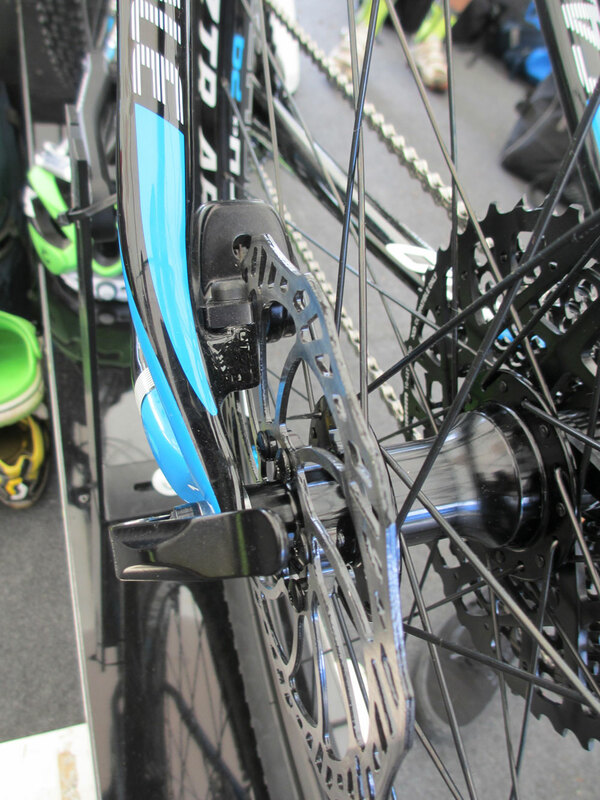 The cranks/pedals are in the same place ampthill, but the spider is offset outboard by 6mm. I like that a lot. But…. As well as the 6mm drivetrain, the seat tube is forward offset at the BB, so there is plenty of space to have done much more radical stuff with that rear end (maybe made it adjustable length). 429mm is not short – my 29er is running a true 405mm measured along the stay centre to centre 🙂 and that is all running standard stuff – regular 73mm threaded bb shell, std chainline and 135mm hub (but admittedly limited in the front mech department). Brilliant. I would not have the legs/lungs/need for it, but properly great ‘why not?’ approach to eek more out of every last jot of weight and space. Mrs_OAB’s 2001 F900SL is still one of the lightest bikes I have ever picked up, and still rides well. As you say, you’re limited to not having a front mech. 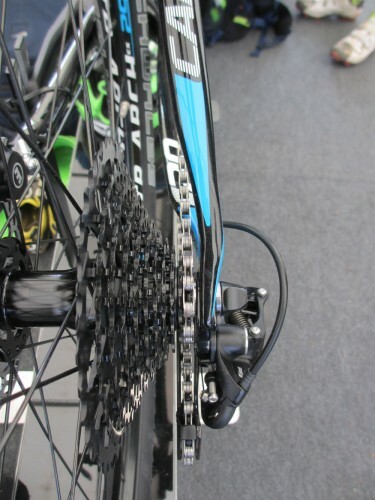 Cannondale wanted it to still work with a two-by setup, otherwise they could have gone silly short. 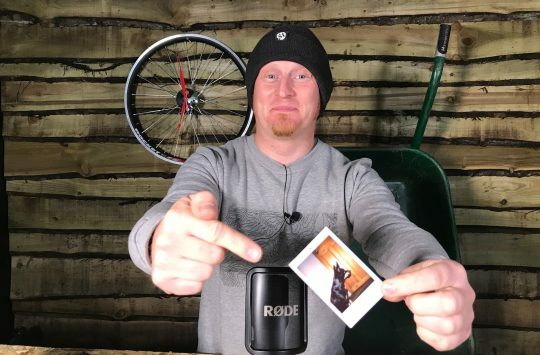 Was it the Manitou frame that had that offset hub? One kidney is now on ebay. 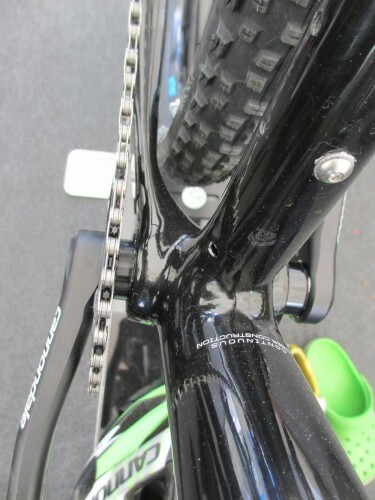 I’m sure the Voodoo Bizango manages to go as short as that with 2 chain rings at the front! Can’t wait for my F -Si carbon 2 to arrive. Very innovative and forward thinking.